The biggest bank in America isn't the one you might think. But is bigger better? Not when it comes to customer service. A second survey released this month by the American Customer Satisfaction Index revealed which of these banks score highest with the customers who make those deposits. Source: American Customer Satisfaction Index and SNL. Right off the bat, you can see that the "biggest bank in America" isn't necessarily the "best bank in America." 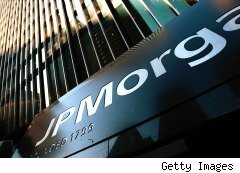 JPMorgan Chase may boast the most assets in the land, and the most customer deposits -- but these deposits aren't landing in Chase accounts because of the service. More likely, people are banking at Chase by default -- because it's the bank they see on the corner, rather than the bank they necessarily would like to see. Scoring just a 70 on the ACSI survey, Chase offers lower-quality service to its customers than either Citigroup or Wells Fargo (73), despite the fact that, judging from their total deposits, these banks lag Chase in popularity. The deeper you dig into the survey, the bleaker the situation looks. According to ACSI, all of the top four biggest banks offer lower-quality service than the "average" bank in America, which customers give a score of 75. Moreover, banks in general score lower on customer satisfaction than other financial institutions. On ACSI's survey, the category of "all other" financial institutions received an average ranking of 79, while credit unions in particular scored 87 -- a record high for the category. There is one comparison by which banks are held in a positive light: Another survey found that Americans like their banks a whole lot more than they like politicians. Motley Fool contributor Rich Smith does not own shares of, nor is he short, any companies named above, but The Motley Fool owns shares of Citigroup, JPMorgan Chase, Wells Fargo and Bank of America. The Motley Fool owns shares of and has created a covered strangle position on Wells Fargo.